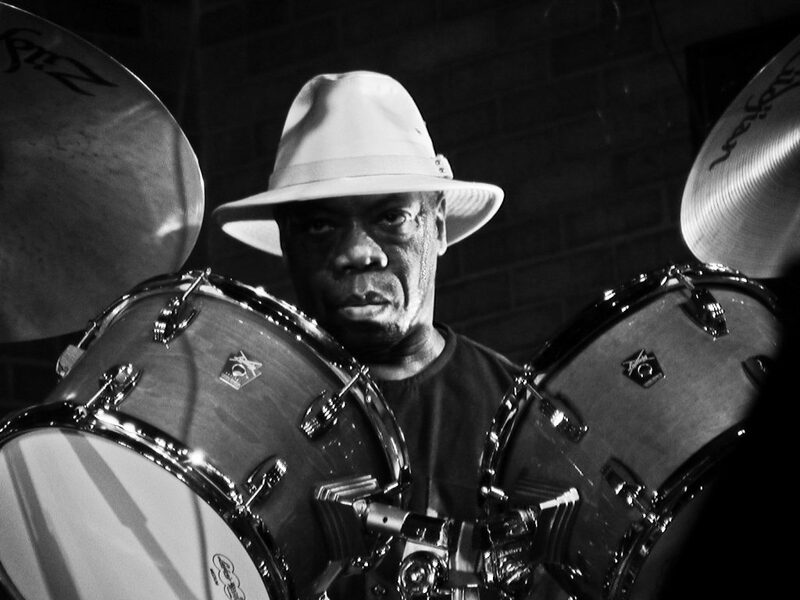 Andrew Cyrille, born in Brooklyn on November 10, 1939, studied with Philly Joe Jones in 1958 and then spent the first half of the 1960s studying in New York at Juilliard and the Hartnett School of Music. At the same time, he was performing with jazz artists ranging from Mary Lou Williams, Coleman Hawkins, and Illinois Jacquet to Kenny Dorham, Freddie Hubbard, Walt Dickerson, and Rahsaan Roland Kirk, among others. He also played with Nigerian drummer Babtunde Olatunji and worked with dancers. In 1964 he formed what would prove to be an eleven-year association with Cecil Taylor, a gig that brought him new acclaim and established him in the vanguard of jazz drumming. 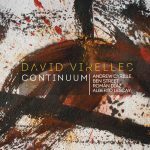 Starting in 1969, Cyrille played in a number of percussion groups with notable drummers including Kenny Clarke, Milford Graves, Don Moye, Rashied Ali, Daniel Ponce, Michael Carvin, and Vladimir Tarasov. Cyrille formed his group Maono (“feelings”) in 1975, with its fluid membership dictated by the forces his compositions called for rather than vice versa. Since leaving Taylor’s group, he has also worked with such top-flight peers as David Murray, Muhal Richard Abrams, Mal Waldron, Horace Tapscott, James Newton, and Oliver Lake, was the drummer on Billy Bang’s A Tribute to Stuff Smith (Soul Note 121216), notable for being the last studio session of Sun Ra. An artist-in-residence and teacher at Antioch College (Yellow Springs, Ohio) from 1971 to 1973, Cyrille has also taught at the Graham Windham Home for Children in New York and is currently a faculty member at the New School for Social Research in New York City. His sterling work has earned him a number of grants and awards, mostly notably from Meet the Composer. Additionally, he has an educational video available from Alchemy Pictures.